dawgtown founder and ceo kevin carlson. photo .by Adam Saraceno. A new breed of employee benefit has caught the attention of industry juggernauts like Microsoft, Yahoo and other tech companies with extensive perk packages. But it doesn’t quite pamper the employees. In recent years, employer-sponsored pet insurance has snowballed in popularity, as companies adopt innovative ways of recruiting and retaining tech talent in a competitive market. Dawgtown, an Austin-based startup with dogs in mind, hopes to jump on the bandwagon by partnering with companies that wish to offer pet-centric services and benefits to employees. The company launched this past December with its flagship product, PawPass, which offers exclusive deals from pet service and product providers for a monthly membership fee of $2.50. Through a dashboard, pet owners can search Dawgtown’s benefits marketplace and shop for opportunities from there. Then, at time of checkout, users select “Apply PawPass” to initiate savings opportunities. Now that they’ve got the product up and running, Carlson said he and his team will focus on the B2B sector. But it doesn’t stop with PawPass deals. Carlson said Dawgtown will also work with employers to set up landing pages where employees can enroll in company-sponsored pet insurance programs. 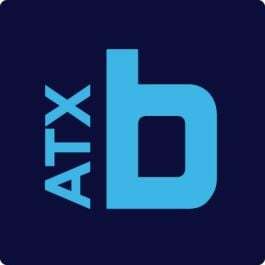 Last month, the startup led a pilot program with several Austin companies to smooth out the implementation process on its platform. Carlson said when the company is ready to go live with B2B partnerships, Austin will be its first market — with San Francisco, NYC and Los Angeles to follow. “Reality will set the terms, but the initial feedback has been that it’s really good to have someone like us come in and nurture this pet-benefits culture to the full potential,” said Carlson.